A setting for six voices by Giovanni Gabrieli (1556-1612) will be sung in a concert by The Oriana Chorale on 20 May 2018 containing all of the Penitential Psalms by various composers. More humbly, South Woden will hear a simple refrain using the well-known verses 10 and 15 quoted at the outset. 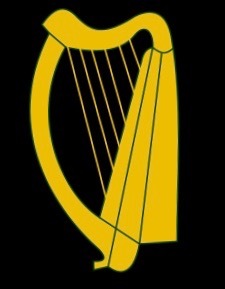 Reduced to commenting on my own posts: did anyone get the dual reference of the Celtic harp image to both St Patrick’s day and King David’s harp? Such grand gestures, being based largely on rumour and fable rather than fact and historical data, are truly wafer-thin. Still, we need our ill-informed but enjoyable traditions. And I had fun — as usual.